Rule the road with this super sized remote controlled jeep. Jeep can move in many directions and has lighted wheels for added effect. 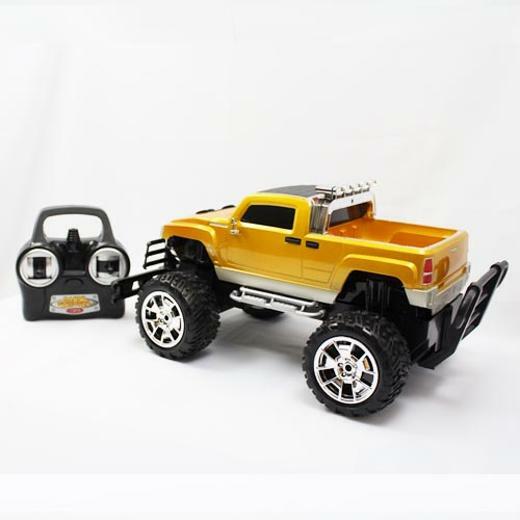 Includes jeep, remote controll, 6V battery pack, 9V battery for remote and charger for car.